All-Season Tyre vs Winter Tyre: What’s the Difference? Old Man Winter comes to Nova Scotia without warning, then stays like an uninvited guest. Not only is it cold, but snow and blustery winds make winter driving much more difficult. Roads get icy and snow-packed sections tug at your wheels, trying to pull you off the road. Even with new all-season Tyres on a new Mazda, it can be a serious challenge. Winter Tyres have been available for decades, improving car safety for winter driving. But what is the difference between an all-season Tyre and a winter Tyre? 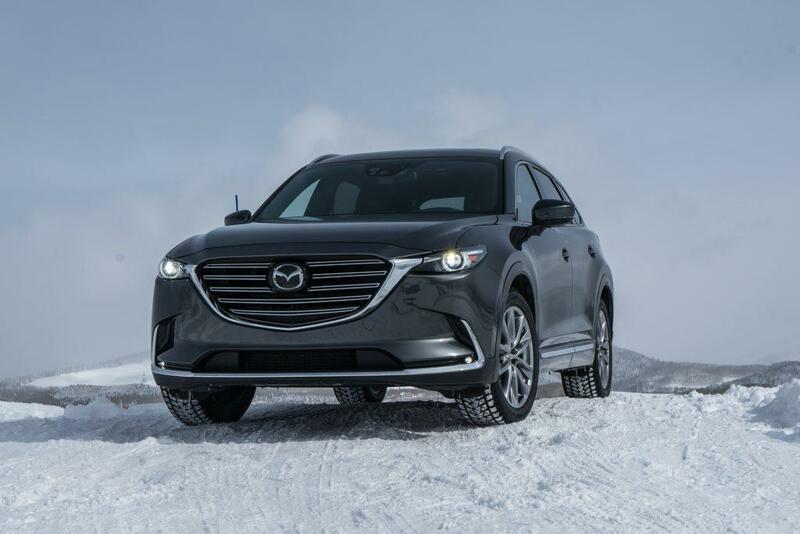 Does equipping your Mazda with a winter Tyre package honestly improve your car’s handling? Here is some valuable information about winter Tyres and their benefits, courtesy of Yarmouth Mazda. At first look, both a winter Tyre and an all-season Tyre look the same: black and round. But there are significant differences in their construction, and it truly makes a massive difference for winter driving. Winter Tyres are manufactured with a high silica content in the rubber compound. The silica helps the rubber remain pliable in cold temperatures, unlike the rubber in all-season Tyres. An all-season Tyre stiffens up when the temperature drops below 7C, sliding like a hockey puck instead of gripping the road. The tread blocks on most Tyres have small cuts formed into them during manufacturing, known as sipes. These spread and close when they move over the road, gripping the surface for traction. A winter Tyre has many times more sipes than an all-season Tyre, enabling it to get more of a grip on the road. In winter driving conditions especially, more sipes mean better traction and control. Most winter Tyres are made with rough-edged tread blocks. These sections of tread operate like little teeth, biting into snow and slush to help find grip when the roads aren’t so nice. All-season or summer Tyres have smooth edges on the tread blocks that help reduce road noise but don’t work particularly well in winter driving. Some all-season Tyre models also incorporate facets of a winter Tyre. These Tyres can be used for the best overall year-round performance. To determine if your all-season Tyres are rated for winter driving, look on the sidewall. A mountain symbol with a snowflake inside indicates that the Tyre is good to use both summer and winter. When Should Winter Tyres Be Installed? As the mercury drops, all-season Tyre rubber begins to stiffen. When daytime temperatures are consistently below 7C, it’s time to have your winter Tyres installed. They should remain on until the weather warms to consistent highs above 7C, as winter’s grip loosens. Keep in mind that using your winter Tyres during warm weather will cause accelerated wear and decrease your Mazda’s traction. The warm road surface combined with the soft rubber compound can take life off your winter Tyres. Are you interested in a winter Tyre package for your Mazda? Yarmouth Mazda can help. 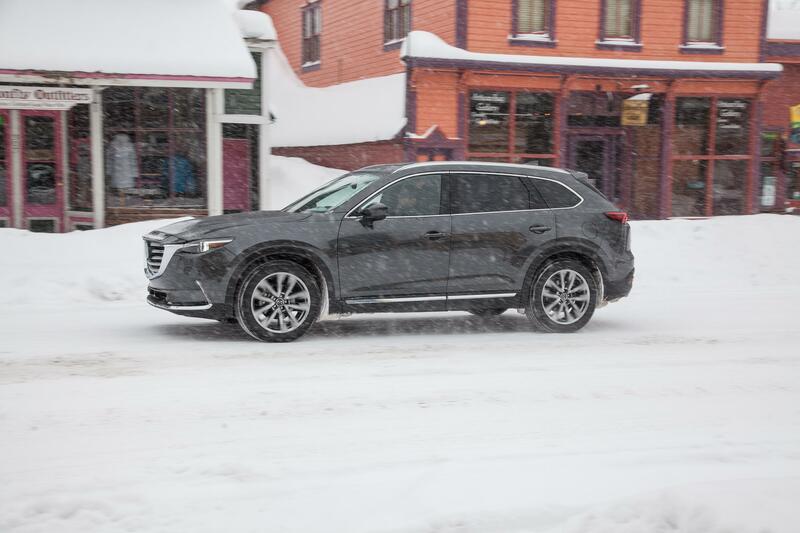 You’ll find winter Tyres from all the popular brands available through the parts and service team at Yarmouth Mazda, serving Nova Scotia.